As with most second albums, Don Broco are starting to flex their musical muscles a bit more than on their debut effort, Automatic . They retain their characteristic sound and swagger, but with an increased confidence. It's a fun album, with a good progression from their first record. There are tendencies for the songs to sound a little similar at first - something I found with 'Priorities' as well - but after a few listens I started to be able to distinguish more easily. Tracks like 'I Got Sick' and 'Further' do stand out as being a bit different. 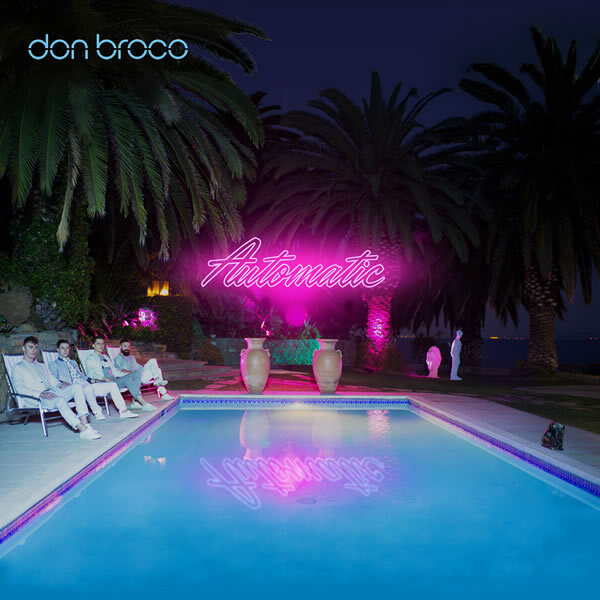 'Superlove' and 'What You Do To Me' sound the most like what you'd except from Don Broco, and are still great songs, and title track 'Automatic' is a clear stand-out favourite. There's a mix of fast-paced rocky tracks, and slower, melodic ones. Some have called the album more 'pop' than their last, but I don't find this - I would simply say that the melodies are quite catchy, perhaps in a pop-sense, and the production quality seems to have increased. Overall, the racing guitars and heavy rhythms makes this a rock album, but it's unlike most other rock albums out there. Don Broco created a very unique sound through their first record, and have maintained this quality in this follow-up. There is perhaps slightly less of the 'cheekiness' found on their first album, particularly lyrically, but there is still a boldness and confidence infused in the performances on the record. The lyrics are good, but none have resonated with me, or jumped out in particular. The vocals are more limited to lead singer, Rob Damiani, this time around, who showcases his impressive range, while Matt Donnelly's appearances are rarer, making them more noticeable and impactful, such as on 'Further'. Overall, I enjoy Don Broco a lot, though I wouldn't call them one of my favourite bands (I'd definitely like to see them live at some point though!). Their second album is a very solid effort, which I certainly enjoy listening to. It doesn't resonate with me particularly, as some others do, but it's a fun, bold, and confident record, maintaining their unique sound, but still progressing from their first record. I only wish it had more than 10 tracks!